Carbon Combat beta 1.2 is now available for download! It has some major stability upgrades and bug fixes and includes a first-person-shooter mode for the car. In order to use FPS mode, hold down shift. 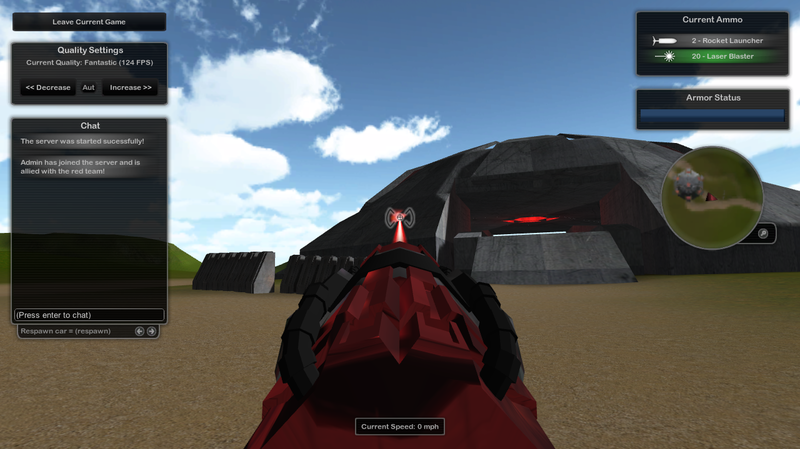 FPS mode makes the rockets and lasers a lot more accurate than before so you can now "snipe" people with your laser. Rain sound FX was also added for rain variation maps. Enjoy!